Save time with this creative Touch of Grace return address stamp by finishing off your letters, invitations or even your monthly bills. Adds a flare to all your envelopes with these trendy fonts. The Chandler Swash Address Stamp is the perfect, personal stamp for the individual that likes to send mail a lot, but is tired of using boring address lines. If you want to add exotic and graceful twists to your letter endeavors or if you want to stand out from your neighbors, look to the Touch of Grace Peaceful Address Stamp to accomplish these feats! The design of this stamp is simply sublime; a lovely, cursive font is applied to the name of whoever is sending the male, which rests on top of a compressed, bold-font address. Right below the entire ensemble is a mysterious mark that provides a touch of elegance and ambiguity. 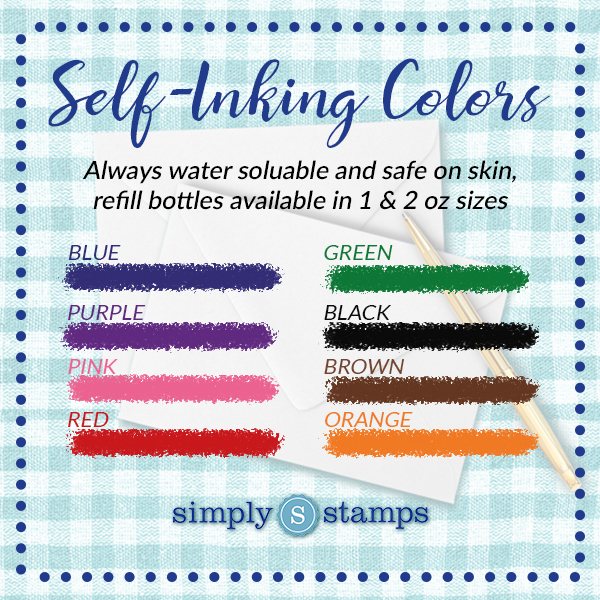 The Chandler Swash Address Stamp is also extremely customizable, on top of being elegantly designed, featuring customizable traits such as personal information, stamp type, ink color, and available refill bottles. Add this stamp to your collection today, if you’re looking for a graceful way to spice up your everyday mail endeavors & in the market for a well-designed address stamp that stands out from others!